Welcome to Season 5, Episode 8 of the This Is Your Life podcast. Stu McLaren is filling in for my regular cohost Michele Cushatt. 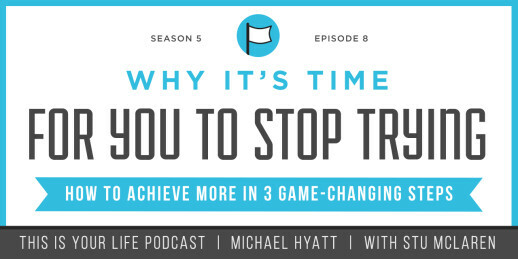 In this episode, we discuss how to get past trying and finally start achieving. Sometimes our language, indecision, and lack of commitment can keep us from reaching our goals. But what if we could change our thinking and finally accomplish what matters most?